It’s your first day on the job, you don’t know anyone but you decide to be bold at lunch and sit at a crowded table to force yourself to meet somebody. You’re at the table, you introduce yourself and then your brain starts firing neural paths. Before we go into further detail about those neural paths, let’s first look back at how our species began to interact with each other, we’ll call it socialization. We are not the only social animals, many other species have found the usefulness of working together. A group improves the chance of survival not only because their improved ability to defend themselves, but a larger group can also complete more difficult tasks. Hunting large prey required a coordinated effort with a system of communication between the hunters. 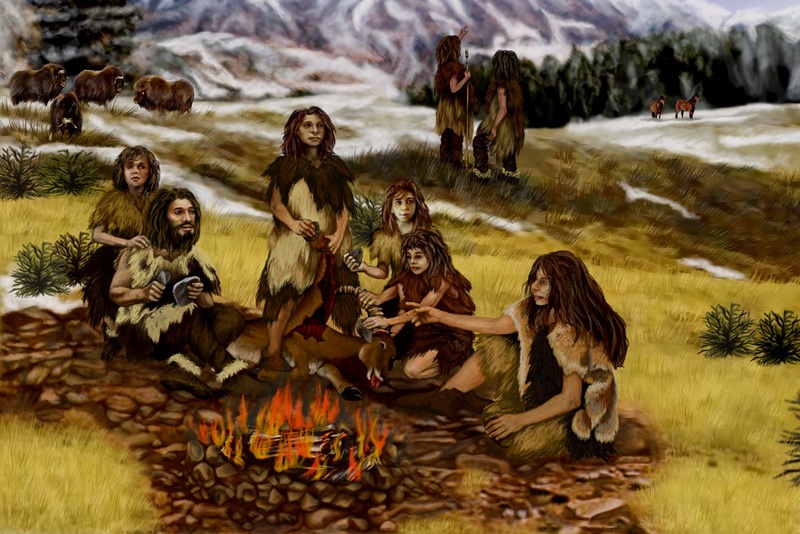 Over time, those individuals who were more inclined to stay in groups were better able to survive, thus that tendency became automated over generations. A few things are needed in order to form a group. First, there has to be a way to recognize the group. We recognize and want to be near humans that are similar to ourselves. Another requirement of a functional group is a form of communication. The communication can be as simple as “let’s go this way” or as complex as a strategic assault on a large beast. Back to your first day on the job, it’s lunchtime and you’ve introduced yourself to a table of strangers. You begin to wonder about their opinion of you. Since empathy is a skill to be practiced, we’ll assume you’re not practiced. Without empathy, your attempts to see yourself from their point of view will include many of your own thoughts. It’s only been about 15 seconds since you sat down at the table and already you’ve created several new characters and have even anticipated how they are perceiving you! When entering new social situations, our selfishness leads us to question how we are being perceived by others. If you are able to gain a decent understanding of how these people see you, then you can move on to the strategy aspect of socialization. A lot happens in the brain when we socialize, and sometimes all those neural paths can trigger fear. If you can have thoughts about other people without them knowing, other people must be able to do the same to you. Your awareness of other people’s thoughts causes a lot of uncertainty which causes fear. This is why so many people hate public speaking. Your fear is telling you that every person listening is potentially as deep as you are! And when you empathize with those people, you’ll see that they have similar fears about you.